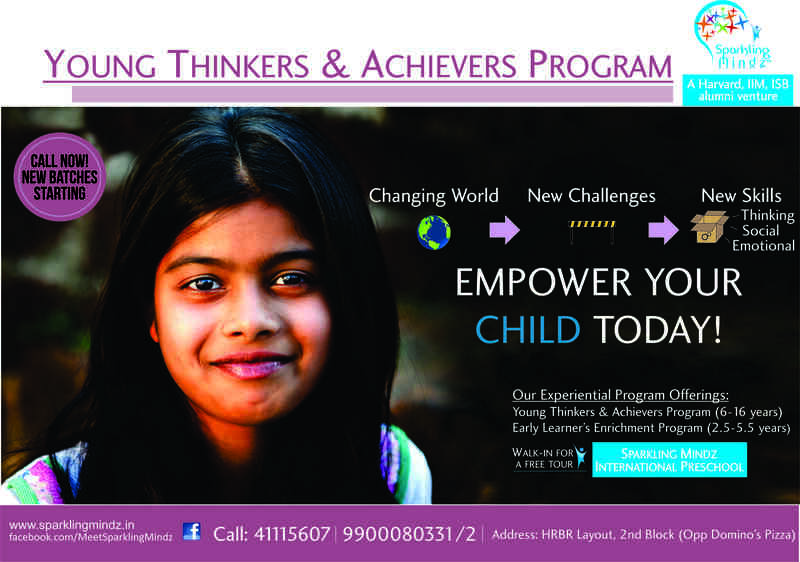 The Young Thinkers and Achievers Program is a holistic child development program to Inspire, Engage and Empower a child (6-16 years) to achieve their potential. We use innovative game-based methodologies, cognitive psychology-based frameworks and deep facilitative approach to nourish and develop your child's potential in the thinking, social and emotional domains. As the child advances through the levels, the child shows an increase in confidence levels, ability to self-motivate, enhanced focus, positive attitude, think and analyze, communicate effectively, interact socially, solve problems and even, innovate! You can register here for the program.